Along with providing quality sporting competitions, Special Olympics Illinois continuously aims to break down stereotypes about individuals with intellectual disabilities and bring people together. This dream came to fruition at the Special Olympics Illinois District I Basketball Tournament on Jan. 25 at Deerfield High School. 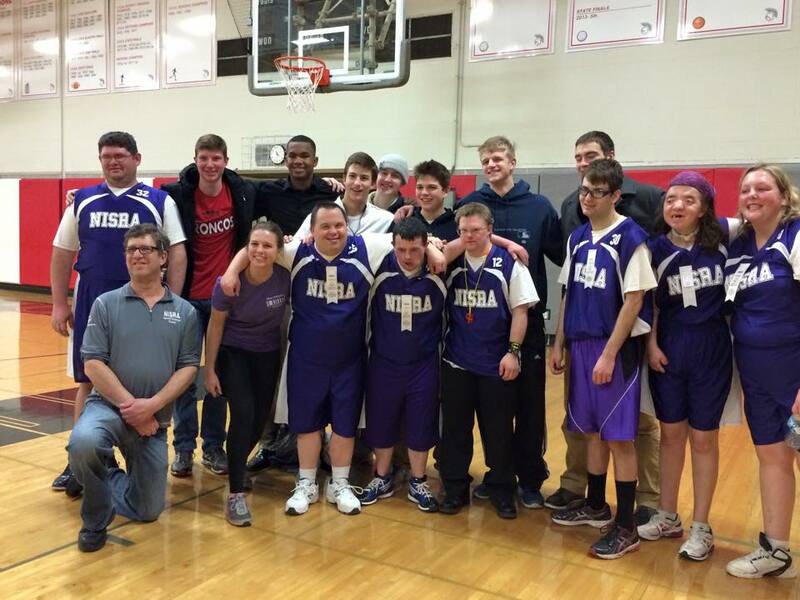 Michael Asher competed with the Northern Illinois Special Recreation Association (NISRA) basketball team. Michael, who is the varsity basketball manager at Barrington High School, received a big surprise when he took the court. A group of fellow students and varsity basketball players showed up to cheer on Michael and reciprocate his unwavering support of them. The group of teenagers came out on a Sunday afternoon to cheer on their friend and Special Olympics athlete. They cheered for Michael’s every move, every shot and every play – actions that were witnessed by everyone in the gym. They truly made Michael feel special. Special Olympics Illinois staff, volunteers, parents and the Superintendent of District 211 all took note of what an excellent group of mature and respectful individuals these boys were.